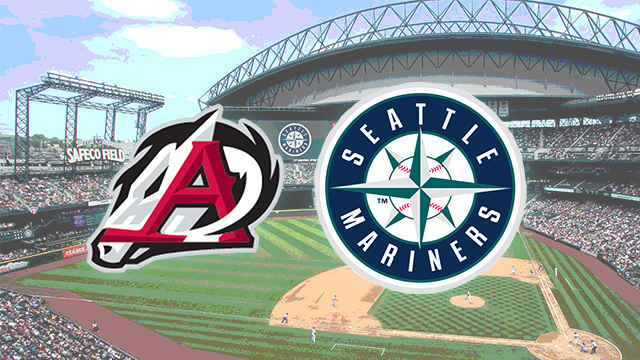 A new manager and coaching staff will lead the Arkansas Travelers in 2019 as announced today by the Seattle Mariners. Mitch Canham takes over as manager for his first season at the Double-A level and fourth as a minor league skipper, all in the Mariners farm system. He replaces Daren Brown who after managing Arkansas for the past two seasons, takes the reins at the Mariners' Triple-A affiliate in Tacoma, Washington. Canham will be joined by new faces in pitching coach Pete Woodworth and hitting coach Kyle Wilson. Also new to the Travs is performance coach Michael Apodaca while athletic trainer B.J. Downie is the lone returner to the staff. Manager Mitch Canham, 34, a former Texas League player takes over as the Travs field boss after leading Class-A Modesto the past two summers. In 2017, Modesto won the California League Championship and Canham was named the league's Manager of the Year. Canham's first year as a manager in 2016, he led Class-A Clinton to 86 wins and into the Midwest League Playoffs. Across three seasons as a skipper he has compiled a 222-198 record, good for a .529 winning percentage with two playoff appearances and one league title. His managerial career began immediately following nine seasons playing professional baseball. Selected in the 1st round (57th overall) in 2007 by the San Diego Padres, Canham played in the San Diego (2007-10), Oakland (2011), St. Louis (2012), Kansas City (2013) and Washington (2014) organizations as well as two stints with independent teams (2012, '15). Canham played for three Texas League clubs in his career over four seasons including the San Antonio Missions (2009-10), Midland RockHounds (2011) and Northwest Arkansas Naturals (2013). He was drafted out of Oregon State where he played on three College World Series teams and led the Beavers to consecutive NCAA National Championships in 2006 and 2007. In addition to being a standout player at Oregon State, he was an Academic All-American and a leader on the student-athlete advisory committee. The founder and CEO of BASE By Pros LLC, an organization that provides personalized baseball instruction and mentorship to kids across the country, he resides in Marysville, WA with his wife and two children. Pitching coach Pete Woodworth joins the Travs staff for the first time. He has spent the last two seasons as the pitching coach for Class-A Modesto including their Cal League title in 2017. Woodworth joined the Mariners organization and began his pro coaching career in mid-summer 2016 as the pitching coach with Class-A Clinton where he also worked with Mitch Canham. He came to the Mariners from his alma mater, Florida Gulf Coast, where he was the pitching coach for two seasons. A four-year standout for the Eagles, he left as the school's all-time wins leader and was teammates with current MLB star Chris Sale. Signed as a non-drafted free agent by the Tampa Bay Rays in 2010, Woodworth pitched one season for the GCL Rays before becoming a volunteer coach at FGCU. He has also been on the coaching staff at Nova Southeastern and served as an area scout for the Rays. Hitting coach Kyle Wilson will make his professional coaching debut with Arkansas. Wilson comes to the Mariners organization after spending seven years with The Performance Academy in Apex, North Carolina where he worked as General Manager and Director of Baseball. His responsibilities included coaching travel and showcase teams as well as individual instruction for players from youth leagues through the professional level. Wilson was a standout player at North Carolina State where he set the school single season stolen base record as a junior before being an all-league selection as a senior. He was a 24th round draft pick in 2010 by the San Francisco Giants. The new performance coach for the Travelers is Michael Apodaca. He will be responsible for the team's strength and conditioning work on a daily basis. Apodaca has spent the past three seasons in the same role with the Mariners' Rookie-level club in Everett, Washington. Prior to that he spent two years in the Tigers organization as a strength and conditioning coach with their affiliates in West Michigan (2015) and Connecticut (2014). He is a graduate of New Mexico State University. B.J. Downie is the lone returner to the Travs staff as he is back for a third season as the athletic trainer. It marks the 12th season Downie has spent working for a Mariners' affiliate which includes four seasons at Double-A level and three in Triple-A. He also spent two years working in the San Francisco Giants organization from 2002-03. In addition to his extensive baseball experience, Downie totaled ten years of athletic training in the private sector with facilities in Seattle, Washington and Ahwatukee, Arizona. He earned a bachelor's degree from Western Oregon University and a master's degree from the University of Oregon. The Travelers will host their annual Hot Stove Banquet on Tuesday January 29 at the Robinson Center in Downtown Little Rock and new manager Mitch Canham will be one of the honored guests. Advance tickets to this event are $25 each and can be reserved by calling the Travelers office at 501-664-1555. The 2019 season begins April 4 in Tulsa with the home opener scheduled for Thursday April 11 at Dickey-Stephens Park. For all the latest information or to purchase tickets for Travs games, log on to travs.com.